There have been cases of many fake accounts of celebrities being created these days. The latest to have been irked by it is Actor Bosskey. 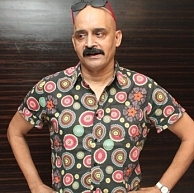 The actor alleges that there is a fake twitter account created in his name, which aims at spoiling his reputation in the industry. Here is what Bosskey had to say about the issue. "As you are all aware I had spent close to about 25 years in the film industry and the friends and contacts I had established during these years are the treasures I cherish. In order to tarnish my image as well as my contacts certain elements are using my name to create a fake twitter account and are targeting certain gentle people whom I respect and value. This hurts me and damages my reputation. I had complained to the cyber crime on this and hope suitable action is taken against these dirty minded elements." Madhavan gets the shape of his life ! People looking for online information on Bosskey, Bosskey fake Twitter account, Cyber Crime, Fake Bosskey Twitter account will find this news story useful.